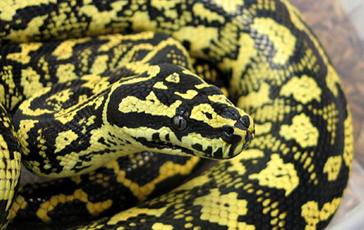 Carpet Snakes are extremely variable in colour and pattern. They have a row of deep pits that can be seen along the lower jaw and many small scales are present on top of the head. This species can grow to more than 3 meters in length.